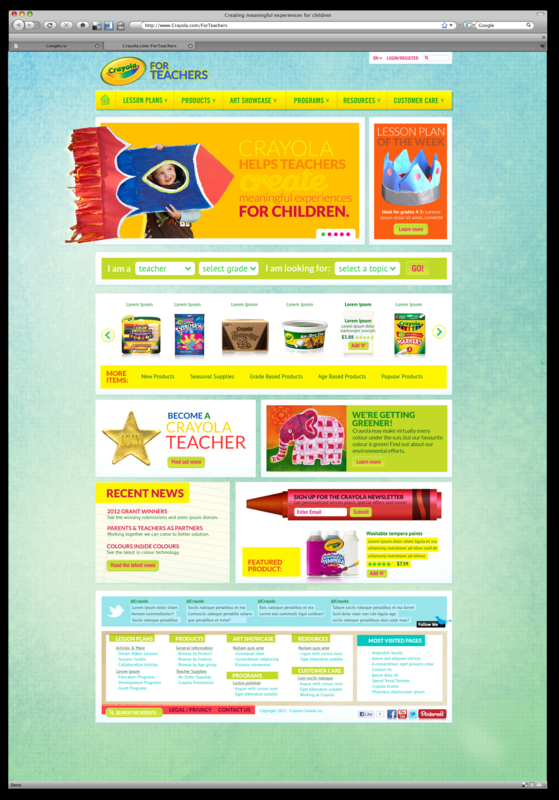 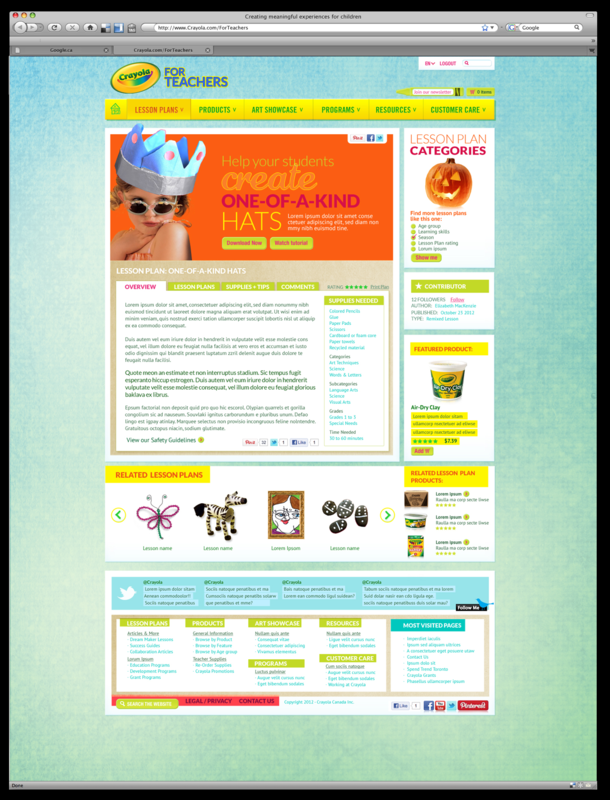 A pitch for Crayola — it was to be an online resource for teachers. 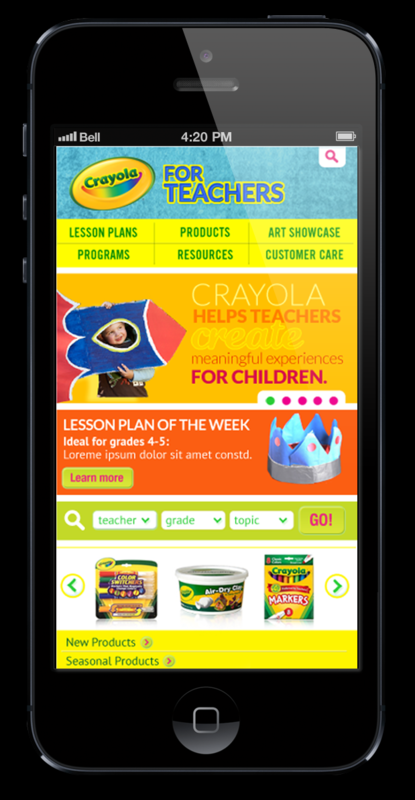 It’s focus was on lesson plans, program sharing, a student gallery and integrated online shopping. 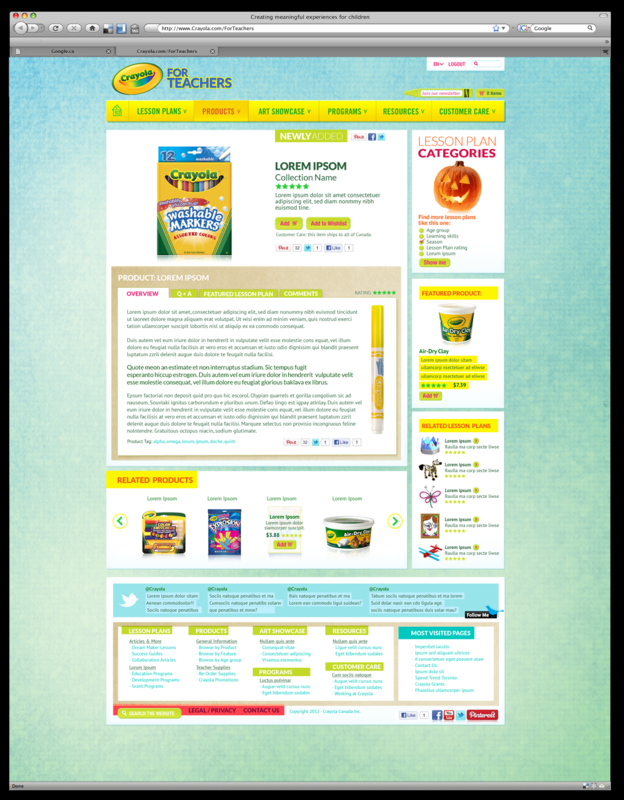 The tone was still very much Crayola, with a more sophisticated mature execution.